Sew what's cooking with Joan! 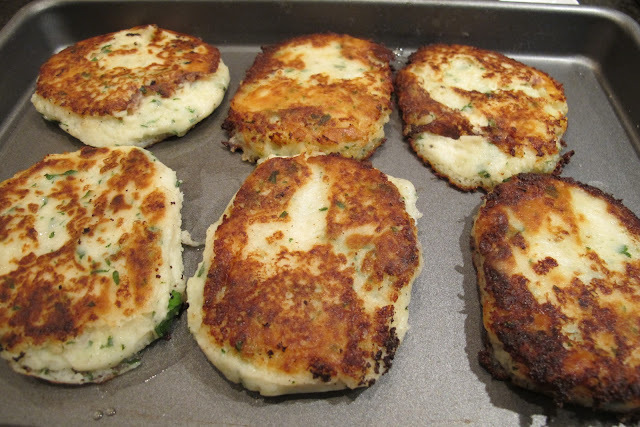 : Potato cakes with a twist...baby! 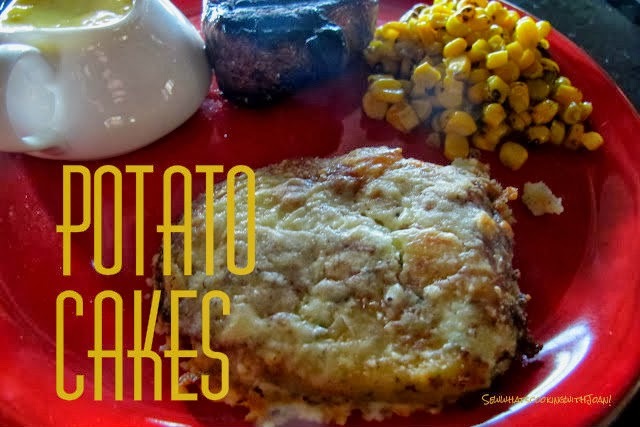 Here is a new potato dish, I think you will love! 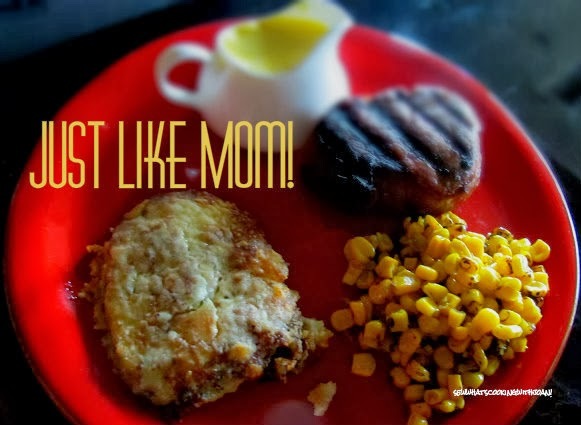 It is easy to make and your family will love you for changing things up a bit! If you have a surplus of left over potatoes this is perfect! When attending the certificate series, my school age children just loved for me to create new meals for them and their friends. Whether it be Chinese, Italian, French, German or Japanese, they were eager to try it! This was one of their favorites! With their crispy exterior and creamy, cheesy center, there’s not much to dislike here. I recommend a poached egg on top for breakfast!! Stir in cream cheese, Gruyere, and parsley, season to taste. 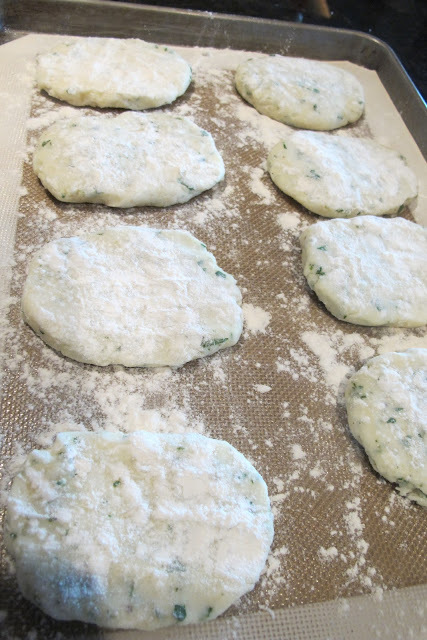 Using a 1/4-1/3 cup measure, shape into cakes and put on a tray. Dust each cake in flour to coat lightly. 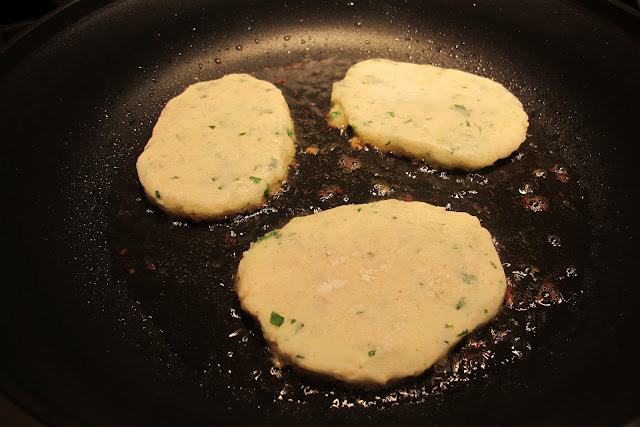 In a heavy frying pan, heat the clarified butter, saute potato cakes on both sides until lightly brown. 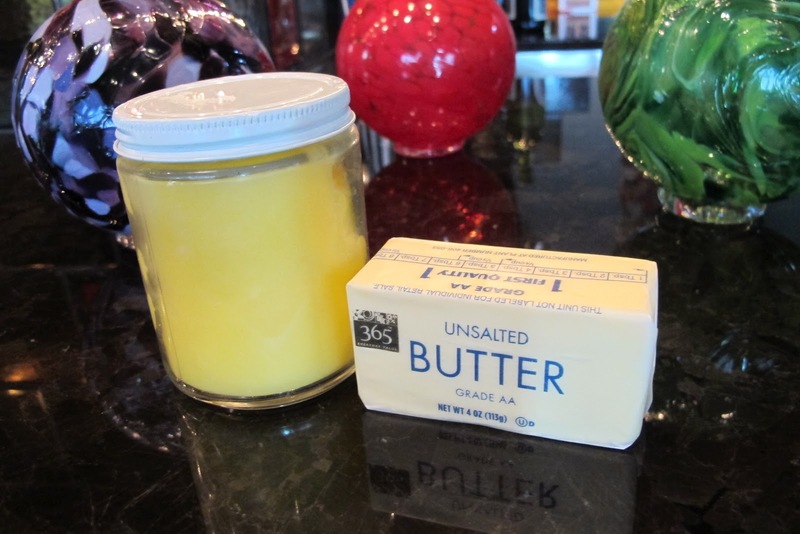 You can buy clarified butter or make it. To make just melt the butter, let it cool and skim off the whey, the foamy white stuff on top. Line a baking sheet with parchment and place cakes on it. (Can be kept at room temperature for several hours. 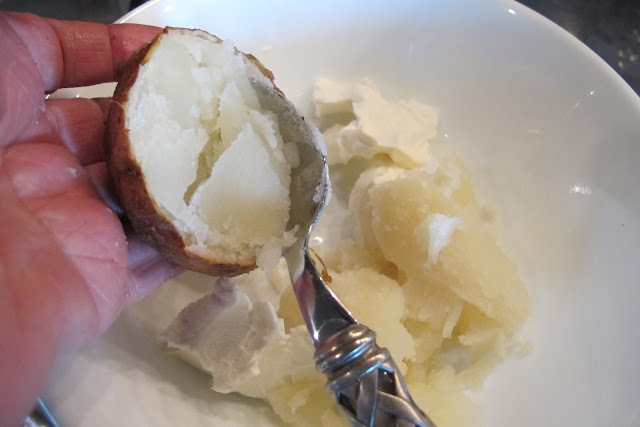 Pour cream over potatoes and sprinkle with cheese. Bake for 8 minutes, or until lightly brown. Mmmmm you can't go wrong with this one fans!! 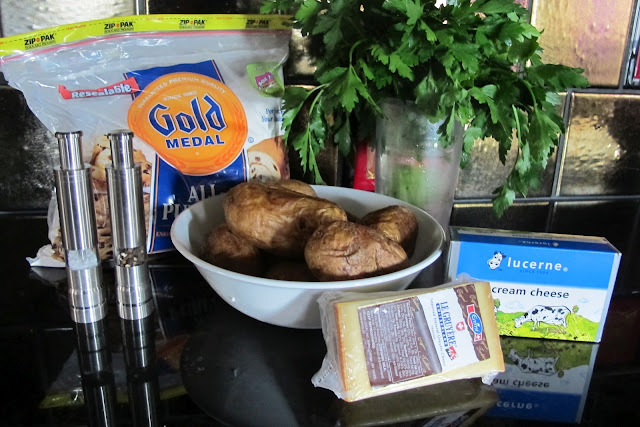 In less than 45 minutes you can have a plateful of fragrant golden disks that are crisp on the outside, soft and fluffy on the inside, and full of cheesy, potato-y good flavor. 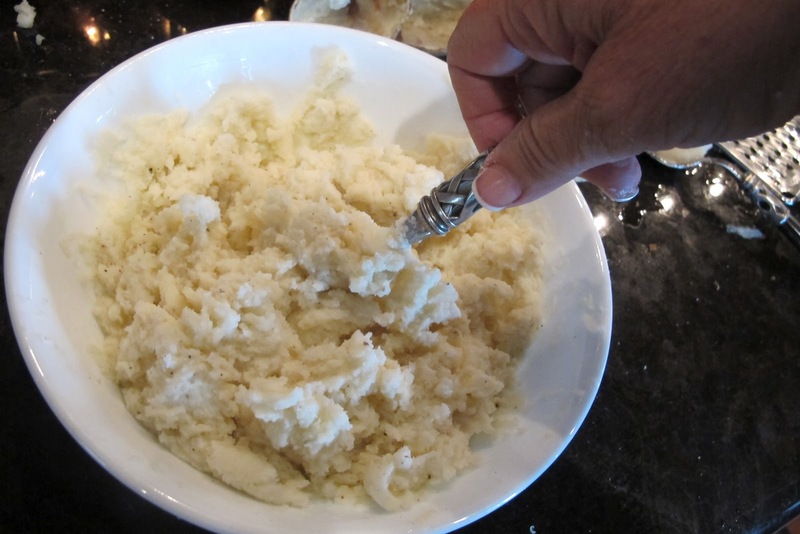 My mother often made a similar recipe and probably grew up with it from her Mom. She usually served it on Monday, making use of leftover mashed potatoes from Sunday dinner. My Dad would sometimes eat this topped with brown gravy. I often serve this with a little sour cream and some bacon bits and snipped chives, they make for a very satisfying lunch or in mini version a appetizer for friends and family. Have a great start to another "Summer Fun" filled week! See you on Wednesday!